I’m trying to knit everyone in the family something for next Christmas and I’m starting now! There will be about 15 people that I want to knit something for and I hope I can do it. 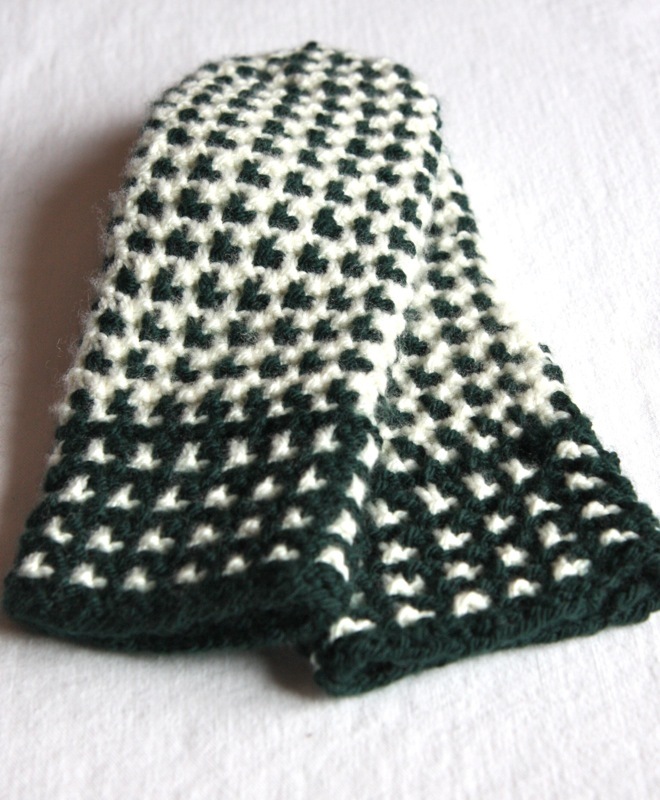 These Spartan Mittens are for my mother-in-law, who is going to get two pair of mittens – one lined and one not. She likes mittens. She is also an Michigan State fan and the colors are dark green and white. These mittens are knit up with a yarn that is made right here in Michigan, Shepherd’s Wool at Stonehedge Fiber Mill in East Jordan. 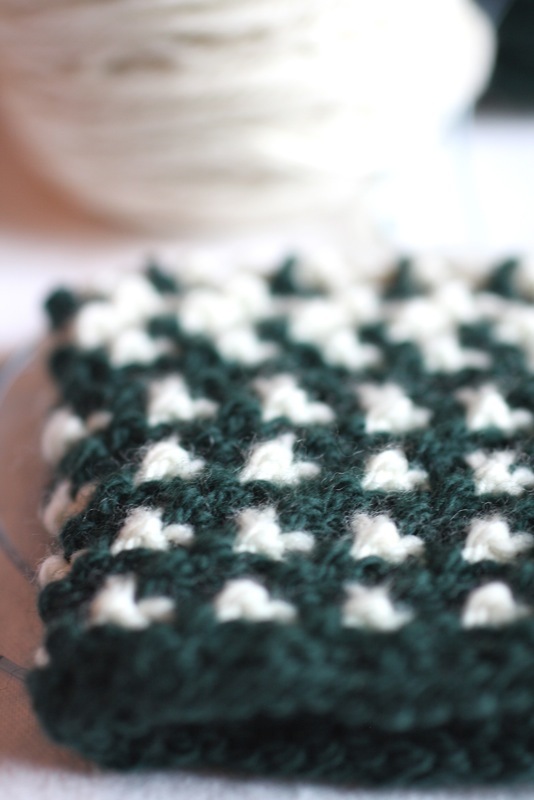 It’s a worsted weight and comes in tons of beautiful colors. 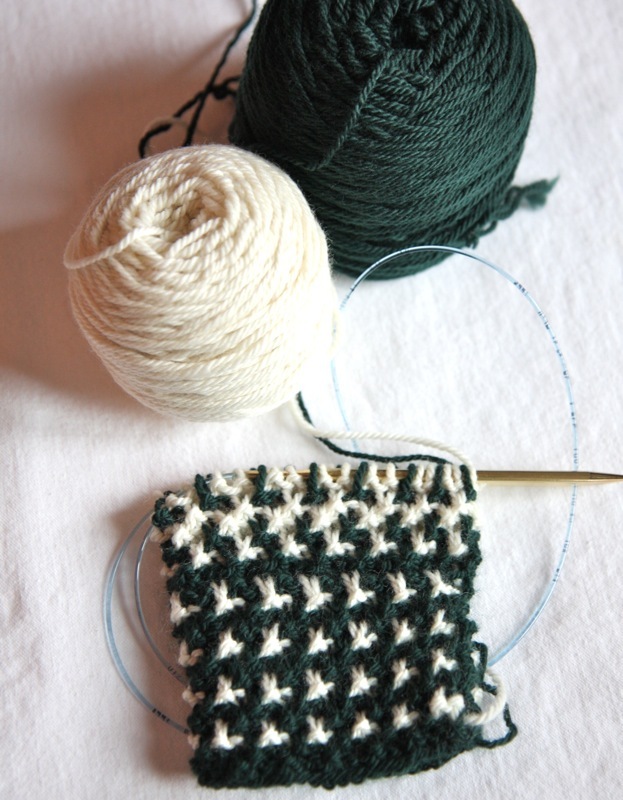 The yarn is very soft and so nice to work with. 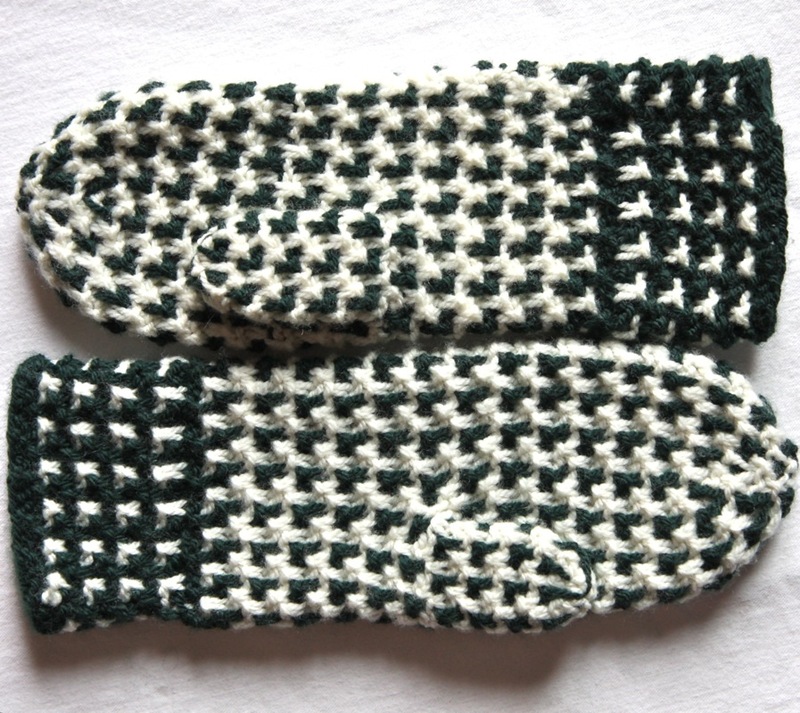 This particular pattern, Tweed Mittens, by Nichole Reese is a great knit – it looks like you’re stranding, but you’re just slipping stitches. Love that! And the mittens are lofty and thick. I knit these using my beloved Magic Loop technique.